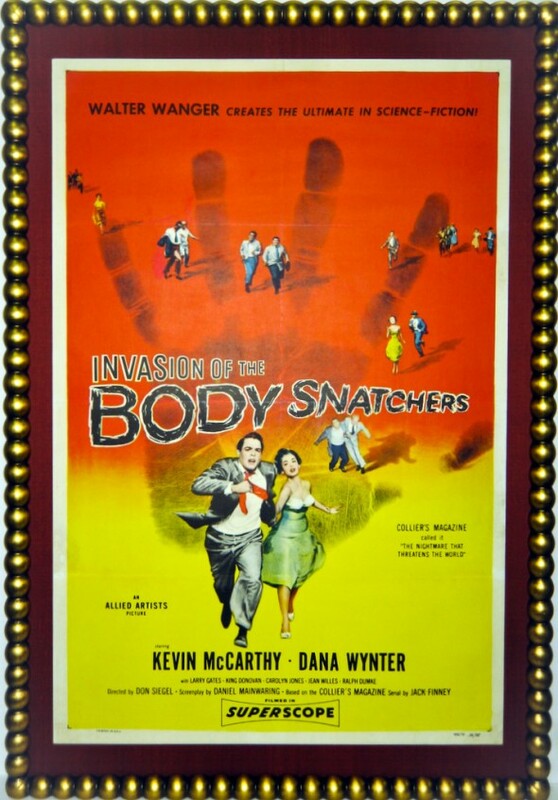 An offbeat treatment of a classic horror film poster using vivid red matting and gold-ball moulding that reminded our client of old-fashioned movie marquee lights. Private collection. ›› When choosing a frame for your poster, don’t be afraid to try something out of the ordinary. 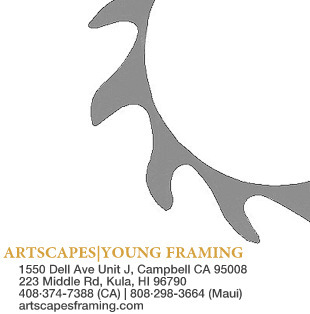 Artscapes has worked with many clients to design distinctive framing treatments that reflect the personality of the owner and make the posters even more unique. Galleries and commercial settings usually require more traditional or conservative treatments, but many of our cients decide on adventurous frames and mats that have made their posters arresting conversation pieces and a centerpiece of their homes. View examples of vintage poster framing treatments in our gallery. ›› Before you begin, snap several digital images of the location where your poster will hang. Take pictures from different angles and if possible, during different times of day. Bring your camera with you when you visit your framer, or email those images ahead of time. This will serve as a visual reminder for you when you decide on a design. It will also help your framer see the decor of the room in which your poster will be placed, as well as the type of lighting and environmental stressors (e.g., heat, direct sun, humidity, temperature fluctuations) that exist. ›› A cardinal rule: Never have anything done to your poster that is permanent and irreversible. Any reputable poster dealer will offer only posters that have been reinforced on linen, paper or fabric backing using conservation standards so the poster can be separated from the backing, if necessary, without difficulty. Certain methods (dry mounting, in particular) can instantly destroy the value of the poster and induce damage that is often irreparable. ›› It is absolutely critical that vintage posters are correctly framed to prevent deterioration and loss of value. We strongly recommend you use only conservation-standard hinges (which will tear apart or separate from the backing before the poster does, thus avoiding any ripping or tearing your artwork) and plexiglass glazing with UV protection. These considerations are especially important in earthquake zones like the San Francisco Bay Area. ›› Whatever company you choose, be careful that the framer is familiar with handling vintage works on paper. Many pieces are extremely large and difficult to handle, or printed on paper that may be very fragile. Simple assurances that the framer uses only “archival materials” or “acid-free paper” are not enough. Ask if your framer engages in preservation framing and follows the most current museum conservation standards. Learn more tips of poster preservation and framing from Artscapes’ owner/master framer, Glenn Young, in this brief video.